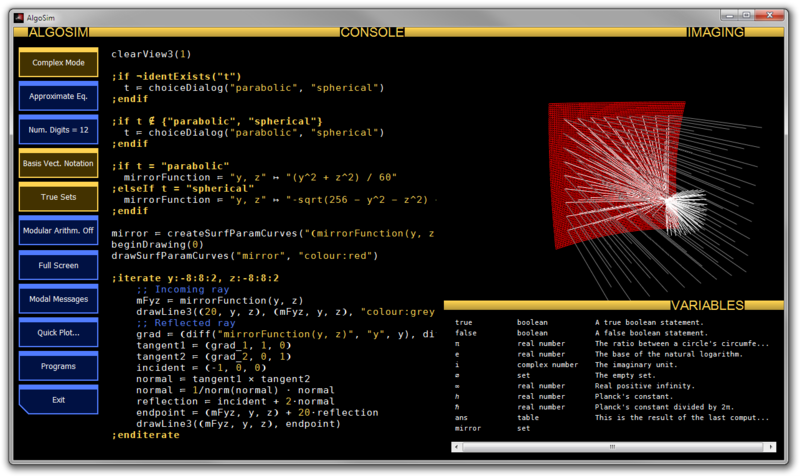 AlgoSim is a very intuitive and advanced mathematical software for numerical analysis and visualisation, and physical simulation. It offers a unique design and an almost poetic depth of features. It is developed by Andreas Rejbrand. At this site you can download the latest version free of charge. AlgoSim is developed by Andreas Rejbrand, https://english.rejbrand.se/rejbrand.